The Guelph Gryphons will host the 10thannual Frosty Mug on Thursday at the Sleeman Centre, home of the OHL’s Guelph Storm. The Gryphons, who are 9-10-6 this season will face off against the rival Laurier Golden Hawks who are 10-11-2. The Gryphons have captured the past two Frosty Mug games, winning 5-0 last year in front of an event record crowd of 4,751 fans. However, the Golden Hawks lead the season series against the Gryphons, winning 2-0 in Waterloo back on Nov. 8. Guelph will look to three-peat and extend their all-time 6-3-0 record in the series in the presence of a packed stadium. Catch the game Thursday night at 7:00 p.m. ET / 4:00 p.m. PT. on OUA.TV. A long-time rivalry heats up on Friday night, as the Concordia stingers travel across town to face the McGill Martlets in a matchup with Top 10 implications. The No.3 Martlets (11-3-0) are coming off a 4-1 win over Ottawa last Saturday and have won two straight, while the No. 9 Stingers (6-4-3) dropped 3-2 overtime decision to Montreal on Friday. The puck drops on Friday night at 7:00 p.m. ET / 4:00 p.m. PT here. It’s the second and final regular season matchup between the top two nationally-ranked teams in the country. The No. 2 Ryerson Rams men’s basketball team will be traveling to Ottawa to take on the undefeated No. 1 Carleton Ravens and No.6 Ottawa Gee-Gees. In their first meeting earlier this month, the Ravens defeated the Rams 76-69 at the Mattamy Athletic Centre. Since the loss to Carleton, the Rams have won five straight, while the Ravens continue to look dominant averaging the most points (90.4) and assists (18.7) in the OUA. A meeting at the Ravens’ nest this Saturday between these two rivals should definitely be another thriller. Similar to the men’s squad, the No. 6 Gee-Gees and No. 8 Ravens women’s basketball teams will also be battling the red-hot Rams. With this being the final regular season game against one another, where Carleton won their first matchup away 78-70, the pressure is on for the Ravens to come out victorious again and sweep Ryerson, who are currently on a five-game winning streak. You can catch all the action beginning at 6:00 p.m. ET/ 3:00 p.m. PT for the women and 8:00 p.m. ET / 5:00 p.m. PT on both Friday and Saturday on OUA.TV. The Lower Mainland rivalry continues this weekend as UBC and Trinity Western volleyball programs collide. On the men's side, it's a rematch of last year's national final but this time, the standings look much different, at least for UBC. The reigning national champion Thunderbirds are on the hunt for one of the final Canada West playoff spots. The team currently sits in ninth place in the conference standings at 6-10, and need to make it up to at least eighth in the next three weekends. That said, they are riding a more positive streak as of late, with two straight set sweeps last weekend against UBC Okanagan. Trinity Western (11-3) is up in fourth place, but still have not clinched their playoff spot. On the women's side, the No.1-ranked Spartans (16-0) sit at the top of the Canada West table and have clinched their playoff spot already. UBC (11-7), meanwhile is in fourth and coming off two straight set sweeps last weekend just like their men's counterparts. First serve flies for the women at 9:00 p.m. ET / 6:00 p.m. PT on Friday, followed by the men at 11:00 p.m. ET / 8:00 p.m. PT. On Saturday the action start an hour earlier at 10:00 p.m. ET / 7:00 p.m. PT. All games on CanadaWest.TV. The most stacked track and field meet of pre-championship season is taking place this weekend at the Tomlinson Fieldhouse for the McGill Team Challenge. 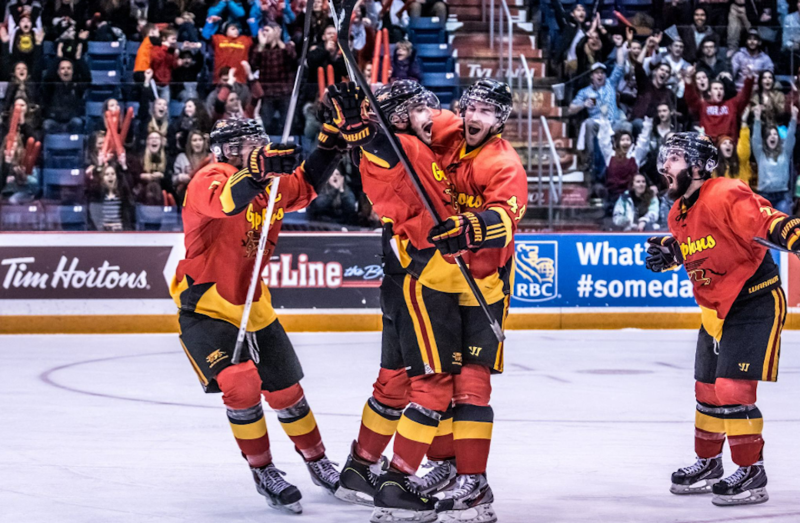 Top RSEQ and AUS talent will square off against several OUA teams, including the 2018 U SPORTS men's and women's champion Guelph Gryphons. Multiple U SPORTS defending champions will compete in their respective events, including the individual victors in the 60m dash Shyvonne Roxborough of Guelph and Matthew Coolen of Dalhousie, and last year's 3000m champion Angus Rawling of StFX. The women’s weight throw kicks off the weekend’s events at 9:00 a.m. ET / 6:00 a.m. PT on Friday. The Ontario Amateur Wrestling Association (OAWA) will host the annual Ontario Junior Championships in London, Ont., on Saturday, featuring some of the brightest young talent in the OUA. Several teams will be competing including McMaster, Brock, York, Lakehead, and Western, with others from independent districts. The event begins at 9:00 a.m. ET / 6:00 a.m. PT. With all of their Ontario rivals in town, the Mustangs will then host their annual Western Open on Sunday. 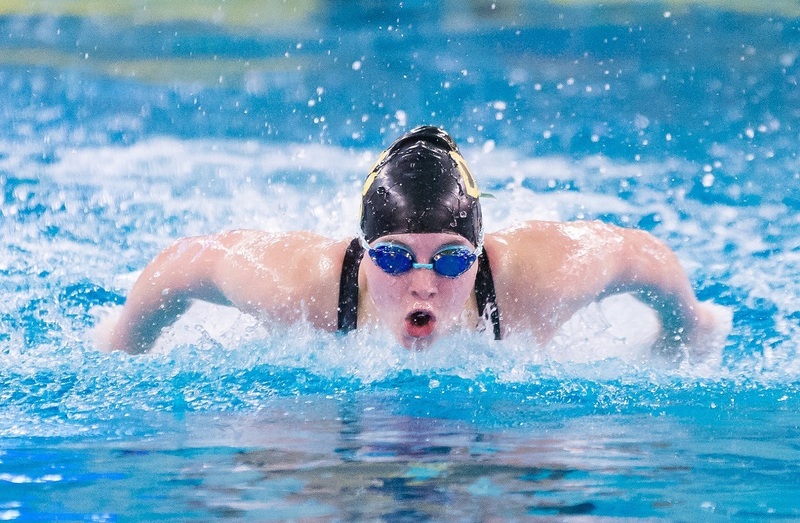 Out west, Fraser Valley – this year’s host of the Canada West Championships – will be hosting their own Fraser Valley Open on campus in Abbotsford B.C.